Wallpaper made by me. I used graphic from Nodame Cantabile calendar. Wow, this is just excellent. Thanks for sharing. Beautiful wallpaper, thanks for sharing. Uwah, it's so pretty and glow-y. ChiakiXNodame FTW. I like the color a lot! This is amazing! The glow around them is gorgeous! And it gives the piece such a gentle, romantic feeling. I can't believe this is your first. WOW! Speechless! Wow I've never heard on this series but it sure is pretty. The guy looks really cute. 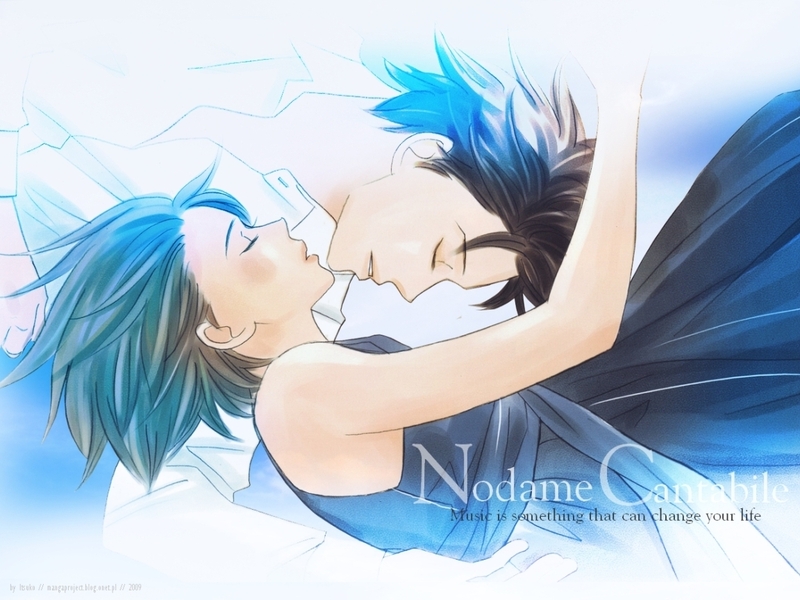 Nodame is a wonderful serie! what a beautiful picture ! so romantic ! So romantic! Beautiful! Thanks so much! I loved it!